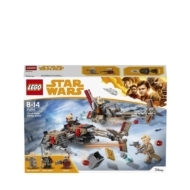 - Includes 3 minifigures: Tobias Beckett, Enfys Nest and Weazel. 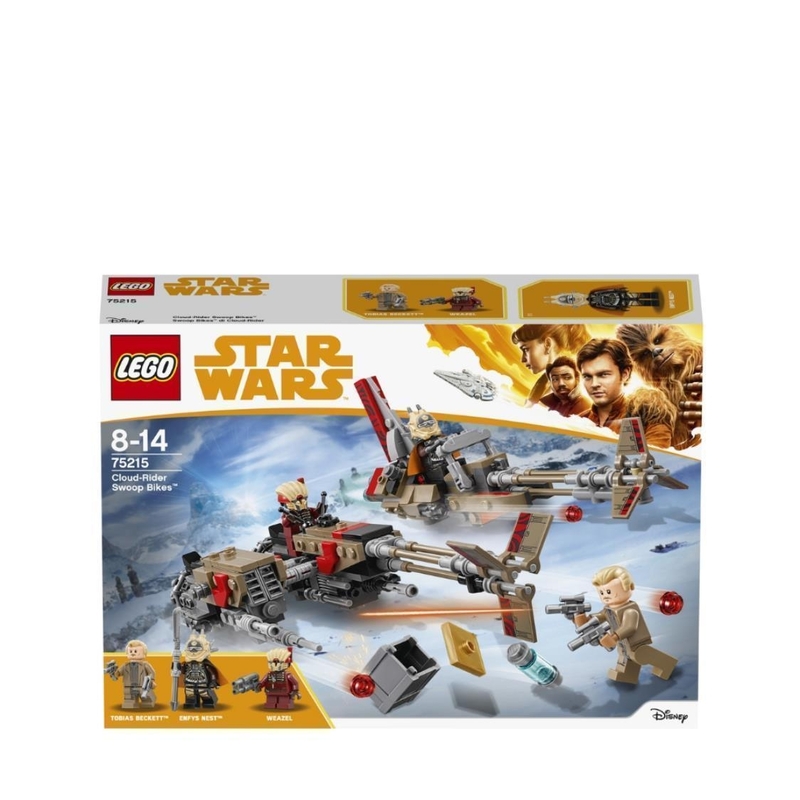 - Features 2 sleek swoop bike speeders with open minifigure cockpits and stud shooters. One also has a sidecar and space to store the included box of coaxium. 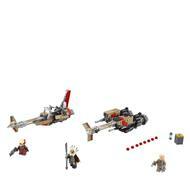 - Weapons include Beckett's 2 blaster pistols, Enfys Nest's weapon and Weazel's blaster. - Recreate amazing adventure scenes from Solo: A Star Wars Story. - Combine with the 75217 Imperial Conveyex Transport and 75219 Imperial AT-Hauler for the ultimate high-speed train heist! - Swoop bike with sidecar measures over 1” (5cm) high, 8” (21cm) long and 3” (9cm) wide. - Swoop bike without sidecar measures over 3” (9cm) high, 7” (19cm) long and 1” (5cm) wide.